This is a sponsored post written by me for Natural Healthy Hair. All opinions are mine alone. When I was a teenager, I worked as a hair model for a few summers. It was a fun way to try new hairstyles, make some money and experience the glamour of the big city. However, my hair took quite a beating during those years. There were countless coloring treatments, heat styling session and teasing at the roots! Since then, I have tried to take care of my hair and keep it looking its best. After all, I fully believe that healthy, gorgeous locks go a long way toward making a great impression. Today, I’ll be sharing some of my best tips on how I keep my hair looking its best during winter and all year long. I always say that beauty starts on the inside. When it comes to hydration, I try to drink plenty of water every day. 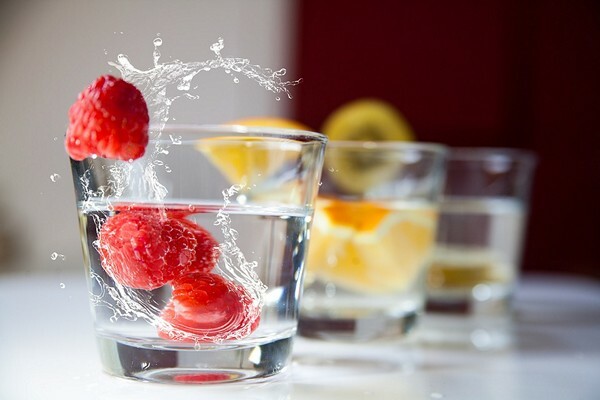 I know some people get tired of drinking plain water, but adding some fresh fruits or herbs is an easy way to boost the flavor. For example, I love the combination of lemon & basil in my water. Another favorite combo is mint & berries. Try to aim for about eight glasses of water daily, but keep in mind that water-rich foods (soups, watermelon, cucumber, etc.) also count toward your daily total. I recently discovered a few products from Natural Healthy Hair and I’m so excited by my results. My hair has never been shinier or healthier. The products I tried are the Beautifying Anti-Frizz Lustri Serum & Deep Conditioning Protein Treatment. The Deep Conditioning Protein Treatment is made with 11 natural ingredients to nourish the hair & protect from free radicals in the environment. The Deep Conditioning Protein Treatment is formulated with a number of powerhouse ingredients to make your hair look its best: Watercress Extract (keeps scalp hydrated), Calendula Extract (helps grow follicles for thicker hair), Double Molecular Hydrolyzed Keratin Protein (strengthens the hair), Rosemary Extract (improves circulation to head), and more. It even contains Anti-Frizz Guard, which offers an extra layer of protection against humidity. To use it, I simply apply the treatent to towel-dried hair, place the shower cap on, and leave for 15 minutes. This can be repeated every 2 weeks for beautiful hair. It’s a professional treatment for use at home. It’s so convenient to apply this treatment at home on my own schedule. It’s organic and all-natural. I love that it contains no chemicals. It’s pH-balanced for healthy locks. It protects against heat damage from styling tools. It only takes 20 minutes for the full treatment, so it’s quick! It leaves my hair looking great! 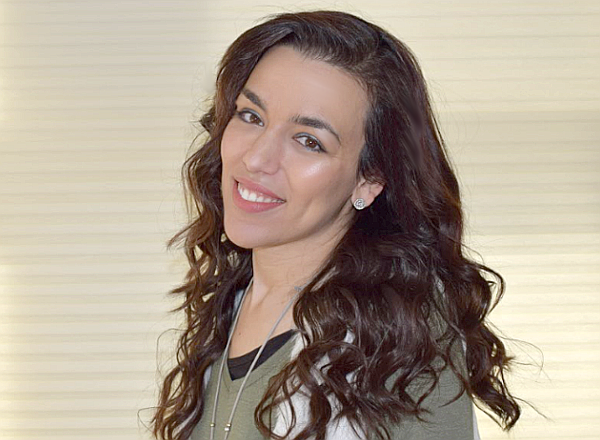 Whether my hair is straight or curly, there is no frizz in sight! The Beautifying Anti-Frizz Lustri Serum features infused Vitamin E for improved elasticity & smoothness. 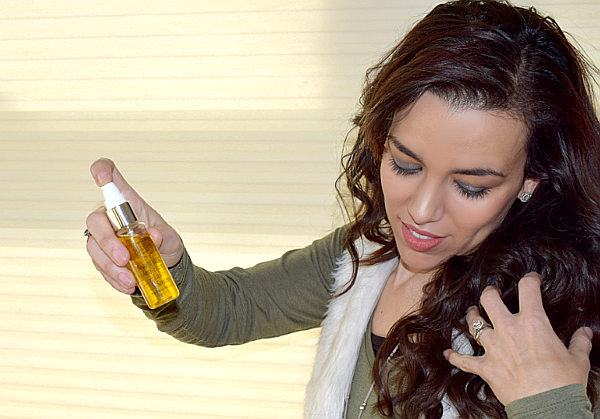 This serum makes my hair super shiny, brilliant & silky, banishing any signs of frizz. It can be used on damp or dry hair. I usually apply it on dry hair right before leaving the house. 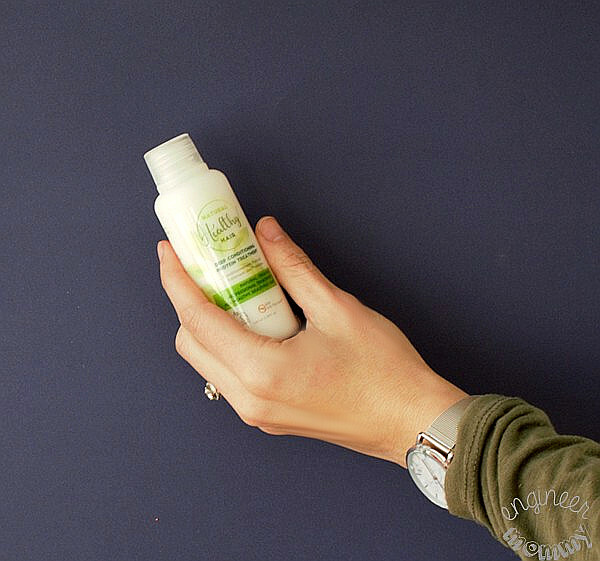 I simply apply 2-3 drops in my palm and work it through my hair, focusing on my ends. 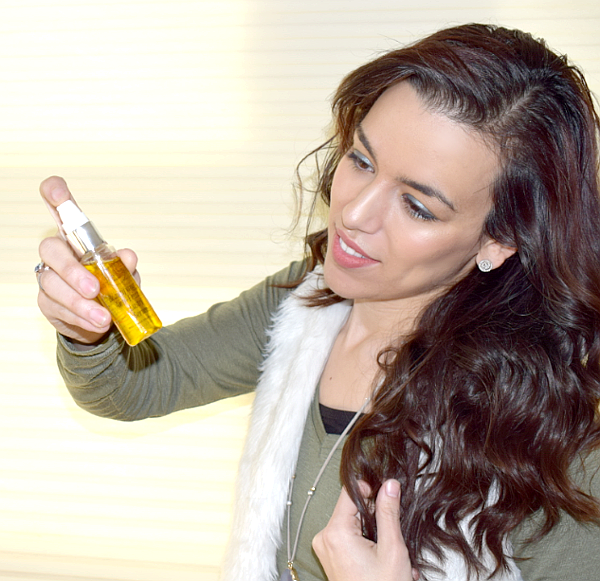 The Beautifying Anti-Frizz Lustri Serum is one of my favorite additions to my daily routine. A few drops of this serum really gives my hair a beautiful boost in brilliance. Formulated with emollients (to soften the hair) & hydrophobic ingredients (to repel water), this serum leaves my hair feeling soft and looking glossy. Taking care of my hair is super important to me and I’m really happy with my results after using these products. The Deep Conditioning Protein Treatment is perfect for anyone that colors, highlights, over-dries or over-styles their hair. I will be giving away a whole bunch of these products to one lucky reader. Keep reading for details on a giveaway of these products. There’s no secret about it. Overuse of the blow dryer, flat iron or curling wand will cause the hair to get damaged & look brittle over time. Skip all heat styling as often as possible. To achieve heat-free curls overnight, simply braid damp hair before bedtime. 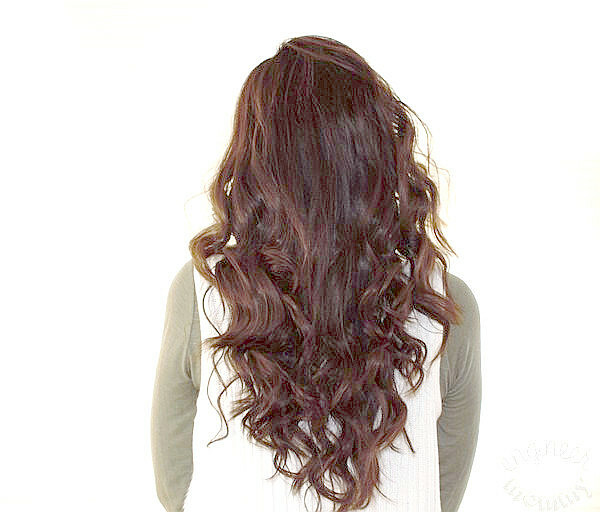 For looser waves, simply twist hair into rope-like sections before bedtime. To achieve hair growth & healthy locks, it’s important to consume a diet rich in fruits & vegetables. I also like to include a multi-vitamin into my daily routine. It’s an easy way to make sure I’m getting all the nutrients I need on a regular basis. For healthy hair, look for a formulation with B-vitamins (especially biotin) and Vitamins A, C & D. At the drugstore, you can even find formulations designed for healthy hair, skin and nails. Split ends are never a cute look! Banish those dry, unkempt ends by getting regular trims at the hair salon. If you are looking to maintain your length, go for a trim every ~6 weeks. If you’re trying to grow out your hair, you can choose to wait a bit longer, but once it starts to look unruly, get a trim! 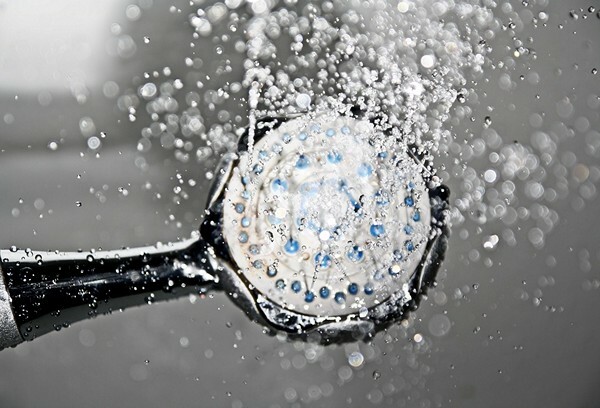 Finish showers with a cold water rinse! You don’t have to give up your hot shower, but when you’re done with the shower, finish with a quick cold-water rinse on the hair. This will help to close the cuticle, thereby sealing in moisture. This will make your hair look shiny & healthy. I hope these tips have inspired you to take better care of your hair. Now, it’s time for a giveaway! 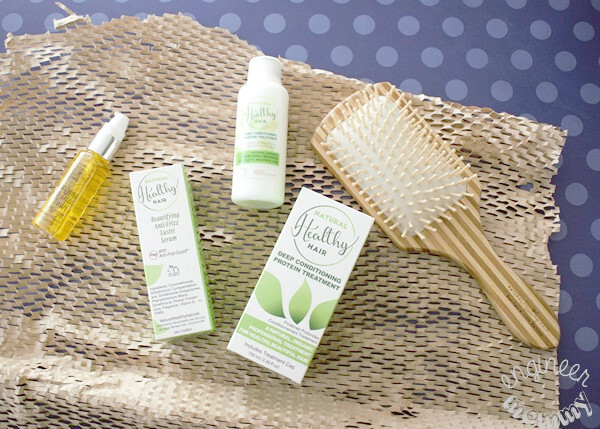 One lucky reader will win a suite of the following hair care products from Natural Healthy Hair: shampoo, conditioner, anti-frizz serum & deep conditioning treatment. Use the widget below to enter! Please note that this giveaway will end on January 6 and is open to residents of the US only. Fulfillment of the giveaway prize will be handled by the brand. Check out the Deep Conditioning Protein Treatment today and see how healthy your hair can look! How do you keep your hair looking its best? What is your best tip for smart hair care? Disclosure: Engineer Mommy is a participant in the Amazon Services, LLC Associates Program, which is an affiliate advertising program designed to provide a means for sites to earn advertising fees by advertising and linking to amazon.com. For additional details, please see our full Disclosure Policy. Any link may be an affiliate link. All opinions are exclusively my own. Drinking plenty of water is the key to all over health which includes your hair. A great de frizzer is needed during these cold months. Hair seems to be going everywhere. Drinking water and eating right really goes a long way to help make my hair look beautiful. Using the correct products helps too. I have a standing appointment with my hair stylist every 7 weeks to get a trim. These look like great products. I remember the old day’s of hot oil treatments to get rid of the frizzies. The Beautifying Anti-Frizz Lustri Serum looks like a much better solution. These products look wonderful. Thanks for the article. My best tip for healthy hair is not to wash it everyday. I hope to win those products they look great! These tips are so great! I need to do more for my body, skin, and hair this year. I don’t take good enough care of it. I have heard that when showering a cold rinse is beneficial. But it’s cold and I just don’t like it LOL. I try to wash my hair the night before and let it air dry It stays healthier without all of the blowing from the hair dryer. I will keep these tips in mind for sure. My hair can be SO unruly and frizzy. I do need to work on drinking more water. These are all definitely great tips for maintaining healthy beautiful hair. I’ll definitely have to try out that Beautifying Anti-Frizz Lustri Serum! One of my biggest struggles is drinking plenty of water. I love water, but I don’t drink nearly enough. I’m going to really work on that in the new year. Water is good for the entire body but especially the hair and skin. 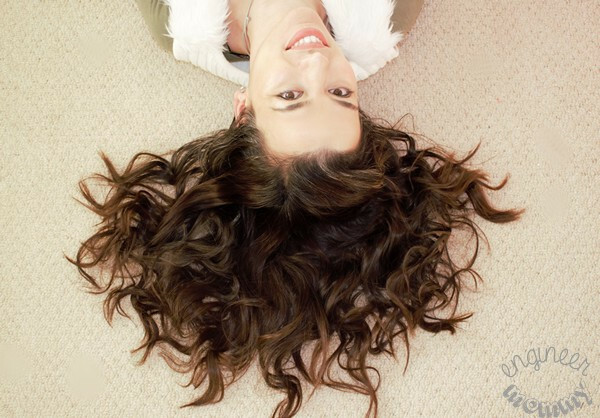 I love that photo of you where you are laying down with your hair spread out. 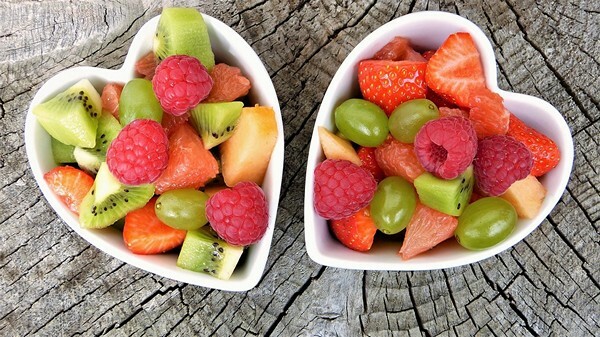 I love fruits, it’s part of my diet. My tip is to drink lots of water. I try to always do a cold rinse at the end of my shampooing and conditioning and I have noticed that on days I do it my hair seems so much more shiny! I need to remember that trick more often! My hair is definitely getting a bit overprocessed, with too much heat damage. I need to start taking better care of my hair. I’ll have to use some of these tips and try some new products too. The right products are so important. Some of those cheaper products are cheaper for a reason! They can do so much damage. These are perfect tips. 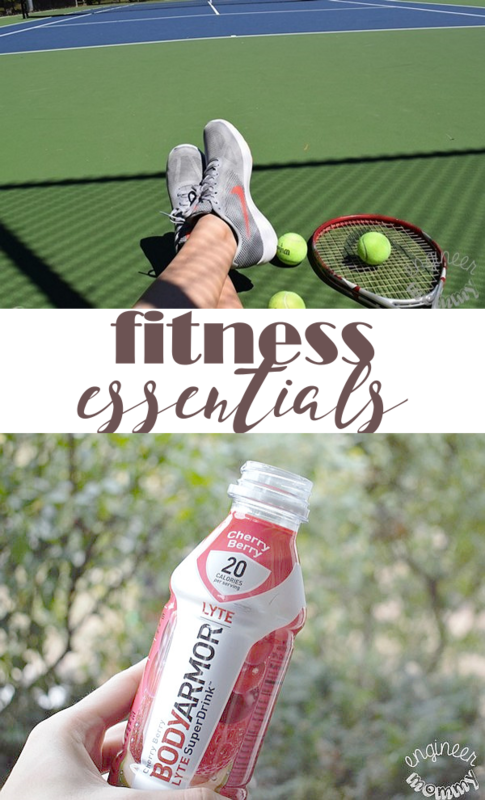 It makes a huge difference when you make sure to drink plenty of water. For the longest time I just always picked whichever products were cheapest. Now I really look for great things for my hair! I am going to have to try out these products. I drink a lot of water for overall health, which is good for the hair too. I wash it only a few times a week and I use conditioning oil in my hair. I have been having trouble with my hair lately so I have been trying to use a good oil on it at night to help moisturize it. I take multi vitamins and drink a lot of water. Let your hair air dry as much as possible & avoid curling irons or flat irons as much as possible. Even the newer ceramic ones do damage. Don’t wrap your hair up in a towel as it can cause breakage. I think it’s important to leave conditioner on as long as the directions say to. I have natural curly hair that’s full and has a lot of body. My hair is starting to thin on top and I’m actually panicking!! Maybe these products would help me!! I only wash my hair every other day. My best tip is don’t wash your hair everyday and try not heat treat your hair. To protect my hair, I don’t wash it everyday and I use really good conditioner. My tips: drink plenty of water and use a moisturizing conditioner. Thanks. Oh wow 20 minutes? I can totally do that, that’s not bad at all!! Thanks so much! Have been having so many hair troubles off late that i was ready to wash my hands off them and resign to having terrible hair for the rest of my life. Your hair makes the troubles look to normal and the tips are just so simple that they give me hope. Thanks for your sharing! status and overall net worth but additionally your objective in life. Coolest photo effects to try! Softest towels for the bath! Nicest handbag for everyday use! Smoothest foundation for flawless skin! Funniest mat for the front door! Best way to capture memories! Join thousands of other moms in the EngineerMommy family. Get the latest posts delivered right to your inbox!